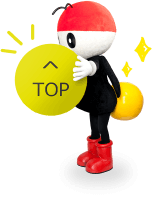 be seen flying and dancing anywhere around this area. at the time of rebuilding in 1879.
downstream, which was the area around Kamihiraide. 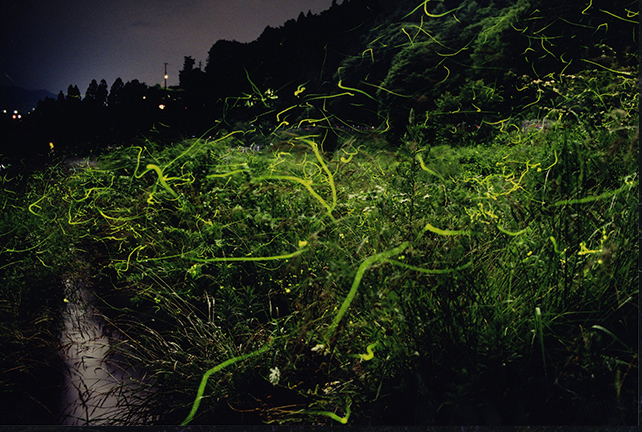 and the town was so crowded with a lot of visitors to see fireflies. and the visitors could catch as many fireflies as they wanted. 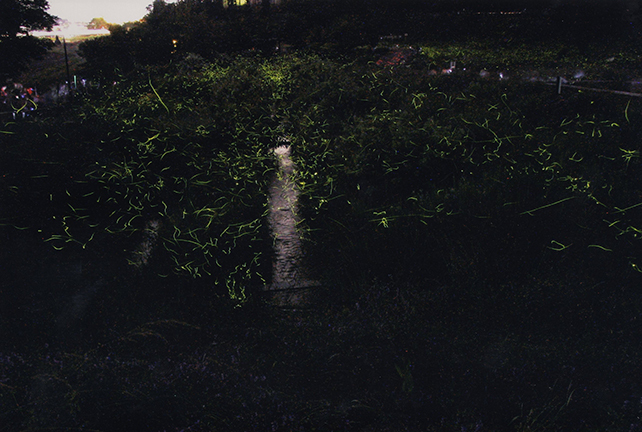 Some people even tried to catch the fireflies with the aim of selling them. (the present Higashi Elementary School). he appealed to the public for the protection of the fireflies by making a booklet titled “A Story on Fireflies” and distributing it among the houses through the children. 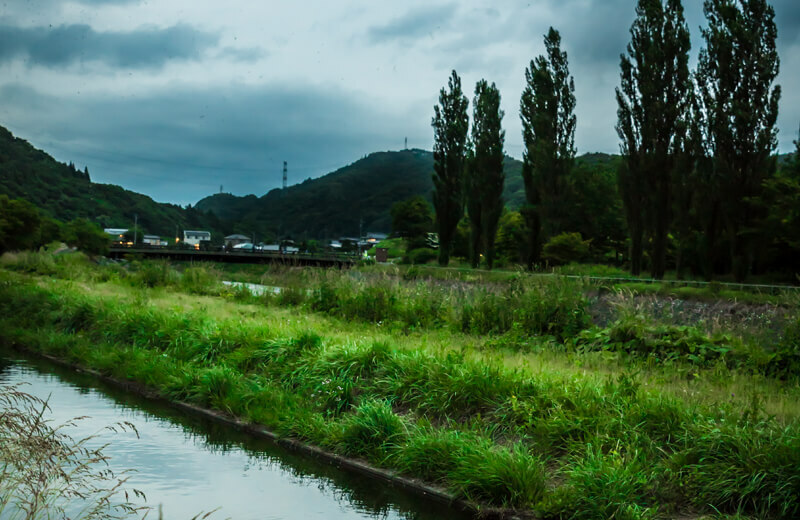 Moreover, Mr. Oguchi asked each family in Tatsuno to stop using Hotarukago( a cage used to keep scores of fireflies for viewing) through his students and he walked along the river with his students every night, trying to stop people from catching the fireflies. 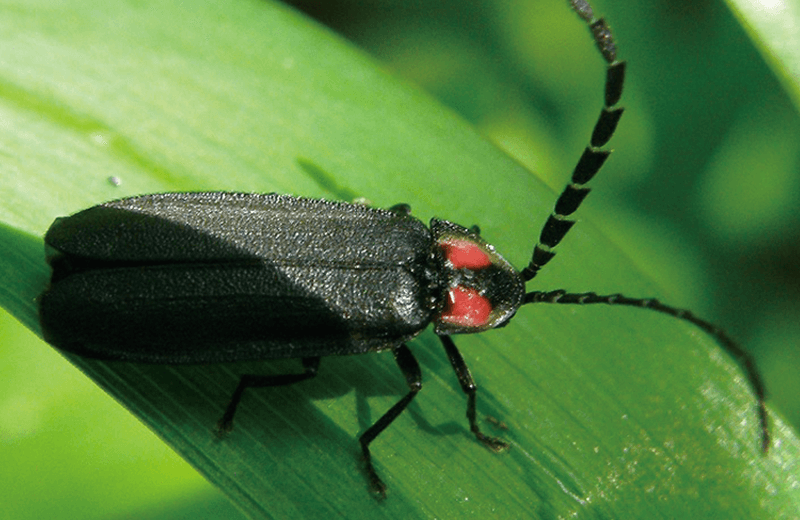 With the help of Hiraide youth association, Tatsuno youth association, and Inatomi Higher Primary School (the present Nishi Elementary School), an attempt to preserve fireflies had developed into a large-scale campaign for the whole community. 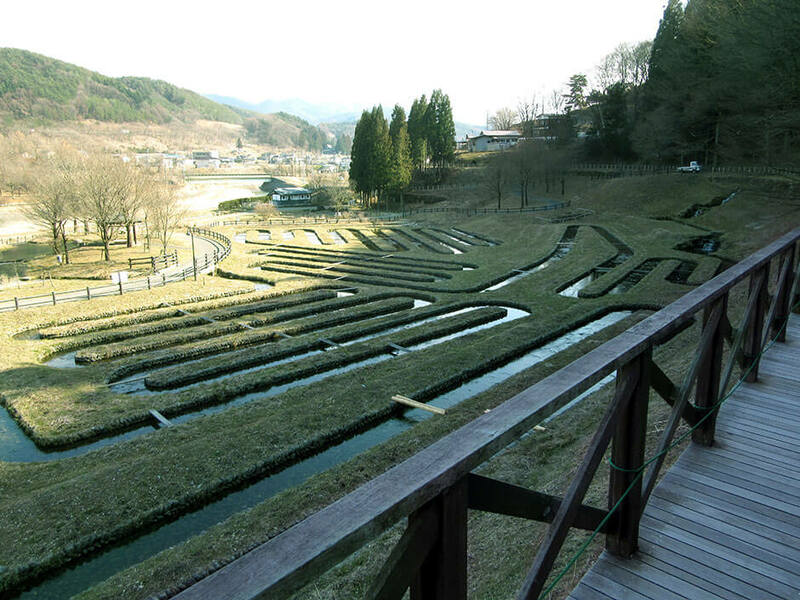 In 1925, the area was designated as a prefectural nature treasure. by the society of commerce and industry in 1949. However, the nature had been badly damaged and the number of fireflies had far more decreased than the one before the war. 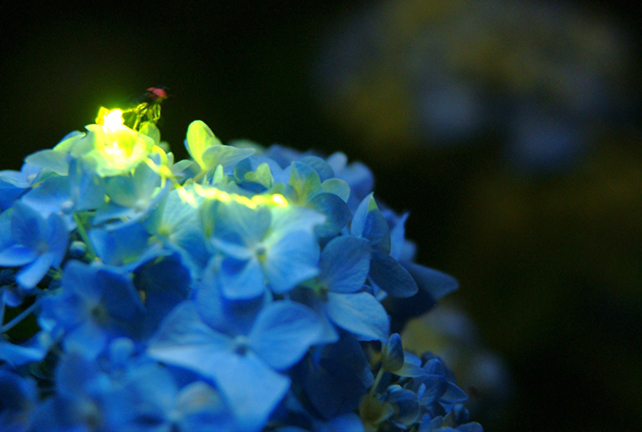 The people involved therefore decided to ask the biology club at Tatsuno High School (under the guidance of Mr. Shigemi Katsuno) to research on the fireflies in 1955. 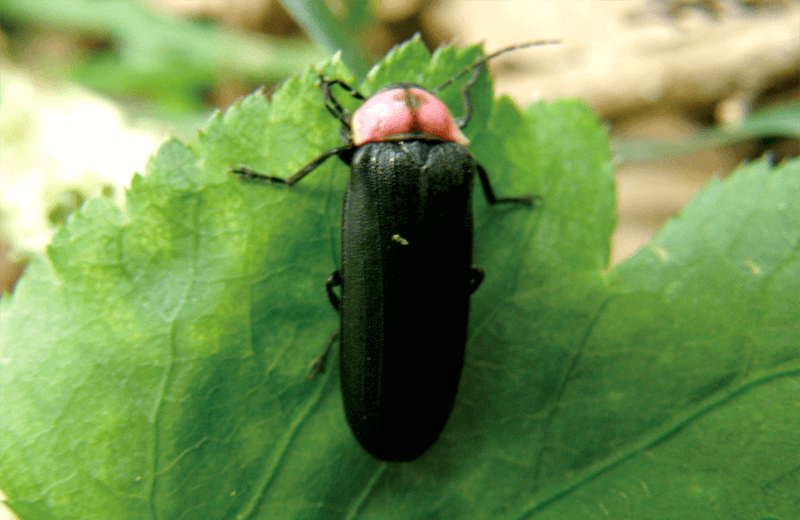 In February, 1960, the whole area of Matsuokyo Valley in Shimotatsuno was designated as a prefectural nature treasure to be “the source of the fireflies in Tatsuno”, according to the new ordinance for the protection of cultural properties. 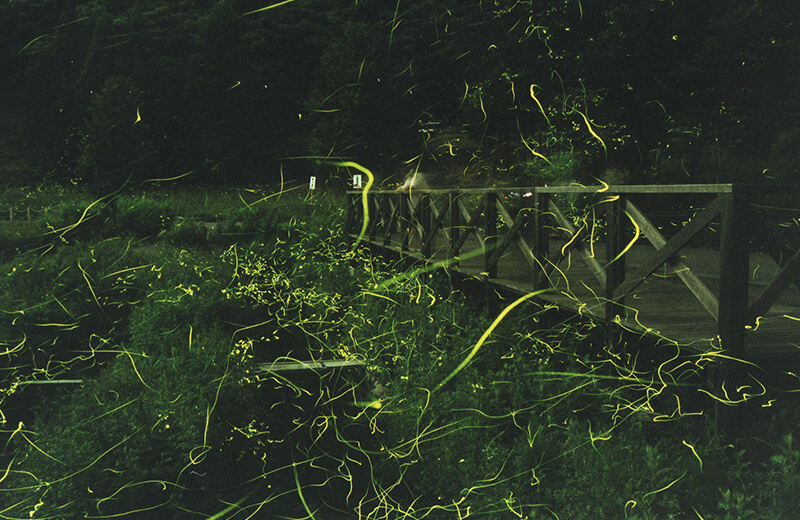 But the fireflies wouldn’t breed in the main stream of Tenryugawa River at that time. They were also distributed unevenly in the waterways. 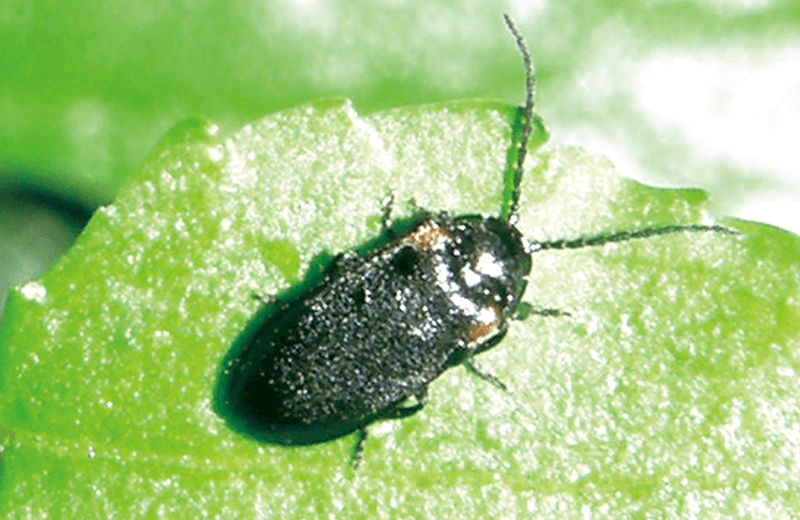 A major cause of these phenomena was the water pollution. 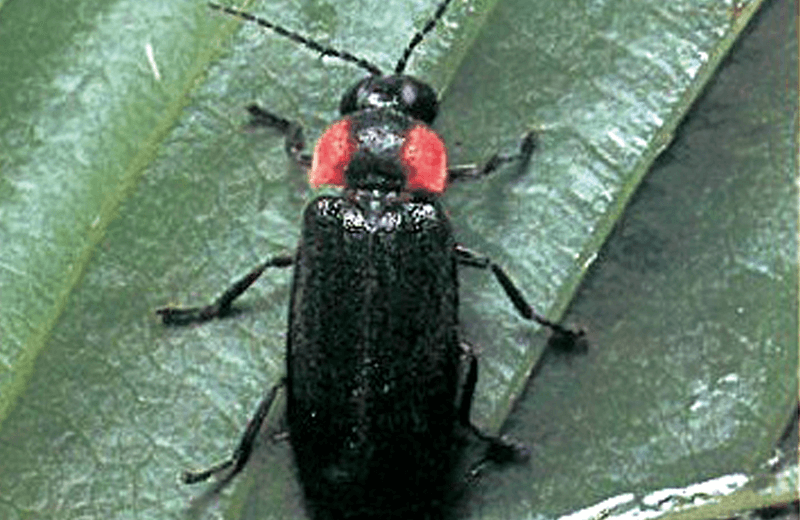 In 1961, the biology club at Tatsuno High School started to release firefly larvae into the waterways near Matsuokyo Valley. 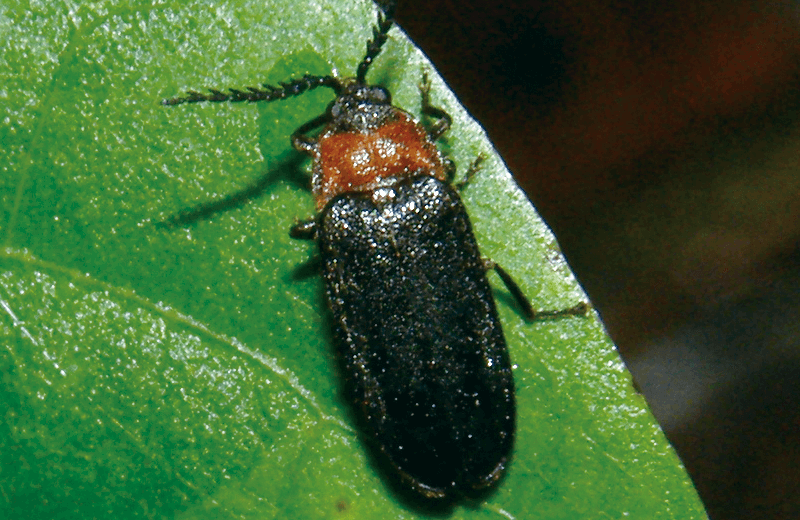 Unfortunately, the number of fireflies wouldn’t increase due to the proceeding water pollution, and the fireflies decreased rapidly. 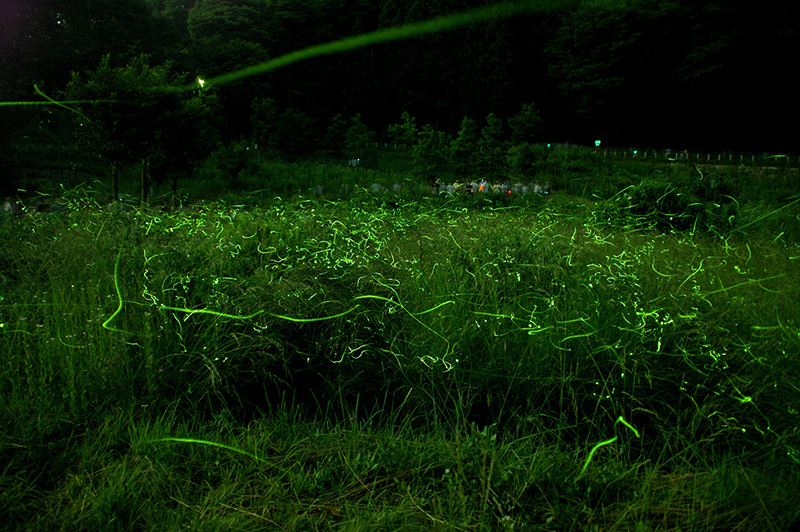 The fireflies in Tatsuno were faced with the threat of extinction. 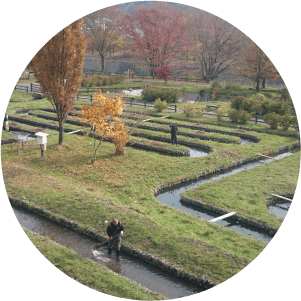 To improve the water quality, uncontaminated fresh water from Osawa was added to the waterways of the upper weir (Denbe-seki). 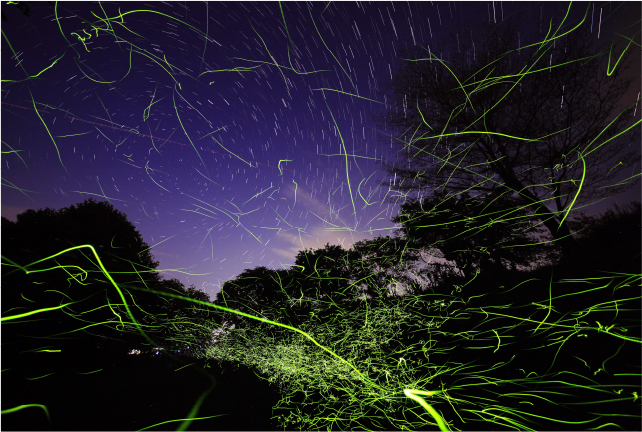 As a result, the number of fireflies stopped decreasing in the area around Matsuokyo Valley, and the number started to be on the increase. 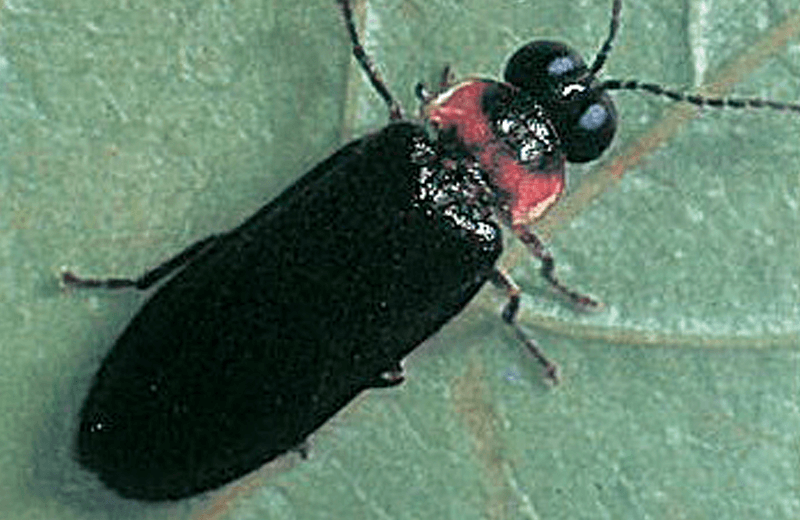 In 1973, at the suggestion of Mr. Katsuno, the Japan’s first pond for artificial breeding of fireflies had made and firefly larvae and their food, thiaridal snails began to be bred artificially. 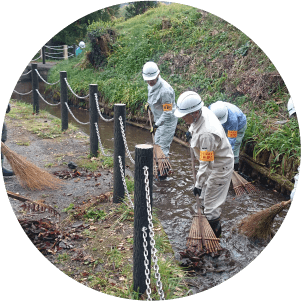 Since then, people of Tatsuno have continued weeding and dredging up of mud around the waterways. 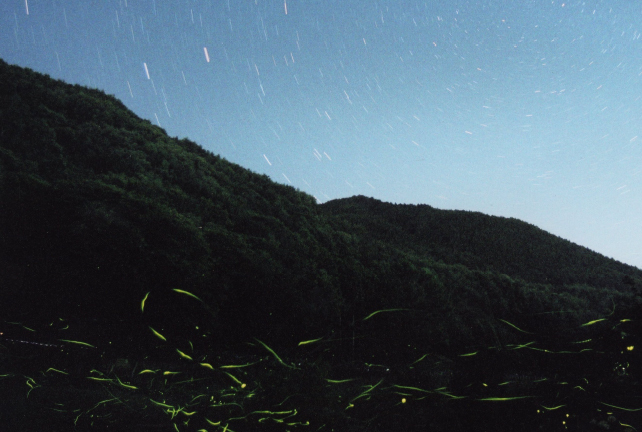 In 1975, a massive amount of fireflies could be seen at last. 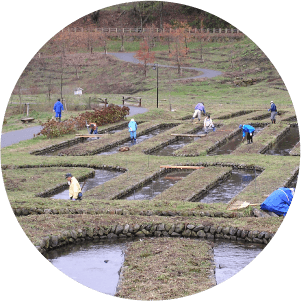 The pond for artificial breeding of fireflies was forced to be moved because of the embankment work of Tenryugawa River. Inevitably, they decided to make the present first breeding pond. and repairing the big weir in 1987 were carried out. 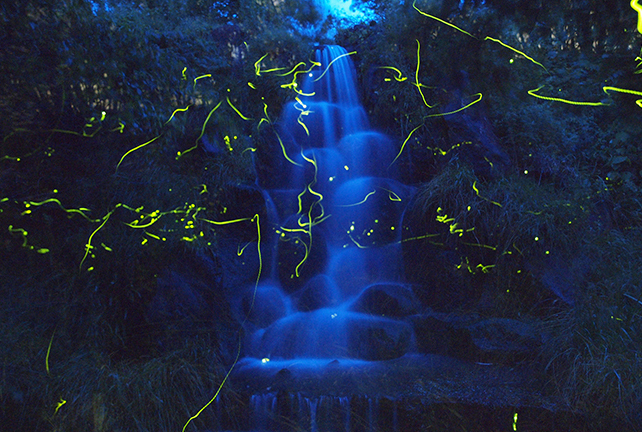 wild dancing fireflies can now be seen every year. Also, Firefly Children’s Songs Park in Kamihiraide was completed. 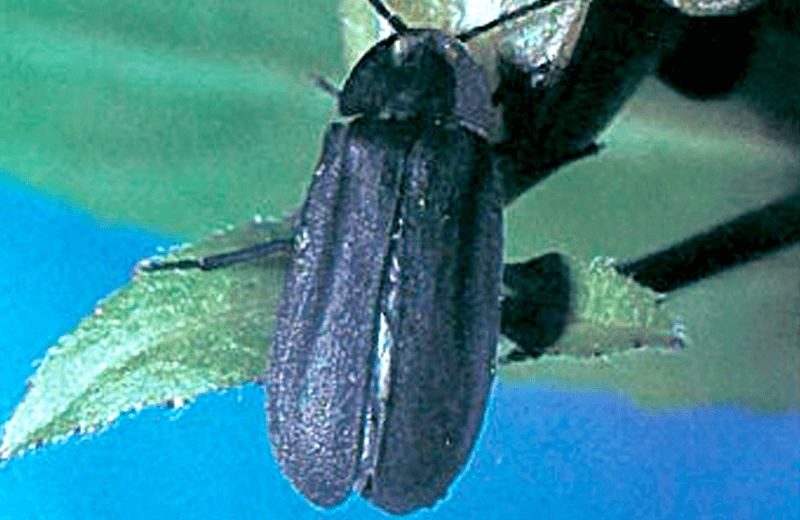 Steady efforts to preserve fireflies have been continuing and expanding even today.